ooh thanks! does that mean i get a little green box! :thumbsup: 3000mAh - that sounds quite optimistic..bet they are more than £1.99 per 4-pack. Lidl's dont always have batteries for sale, its like all their deals grab em whilst you can! the enegerizer ones that came with my charger are 1300mah and nimh... and they last ages so i'm definatly gonna check out the ones at lidl, thanks androo +rep @dude, what do you mean toxic? you mean if you put them in your mouth? wouldn't touch ni-cad anymore, go for nimh, ni-cad are toxic, and nimh lasts 3 times as long. Comes in a box set with 3 other films - can't remember the titles but in theory that makes each film 25p each. Could be On Golden Pond which featured Jane Fonda and her dad Henry.Think it was the last film he made before he died and i think it won an Oscar. EDIT-It won three Oscars and Henry Fonda won one of them for best actor! Educating Rita, CarryOn Camping + 1 other (Can't remember but it was recognisable). The 4 films are on 2 discs. Voted hot and rep for poster. Love anything related and for £1 cant go wrong. I went in my local Poundland (Chelmsford) the other day and they had Firestarter on DVD, just £1. Can't sniff at that! Asda were selling these off at 10p each a few months ago, trust me they don't sell well on Ebay, too old. My son works in Poundland in Birmingham and he has come home tonight with bag fulls! GBA SP requires an adapter, it fits in the same socket you charge with. No, the headphones wont work for the GBA SP. How annoying - people voting cold and not explaining why. wrong picture mate Why the cold votes? In store price... Also Dr Pepper, 7 UP and Fanta. Also 4 for a £1 in Netto stores! I bought a few of these last month ,they only had 2 colours but they work great . What a fantastic deal , for only a quid . Brighton poundland has been selling the X-MEN 2 (2 disc special addition) for well yes a quid! i take it this is Kensington type lock then? dvd-r discs for camcorder - 4 for £1 @ Poundland ! i bought these the last day, i have a samsiung dvd camcorder and its only 6 month old, and mine worked straight away, no hassel! Following on from my previous message, just to clarify my price explanations: If you're intending to buy a load of DVD's, and/or archival quality is your thing, then go online and get them in bulk. Leave this post, there is nothing for you here! If you in a bind, and in need of a blank DVD fast (you have some work to burn to disc and there's no blanks at work), and you only need it to get some work copied over, then you probably only need one or two discs, not 500 of them. And you need it now. You could go into PC world and buy a pack of 5 TDK DVD-R for £5. They'll be good quality discs. OR you could go into poundland and pick 2 TDK DVD-R for £1. OR risk it and buy their own brand at 4 for £1. It's entirely up to you. I'd recommend the following two steps to anyone buying blank DVD media, online or offline: 1. Download DVD Identifier for free: http://dvd.identifier.cdfreaks.com/ 2. Run DVD Identifier, stick a blank disc in, and click 'Analyse'. 3. This will identify who made the DVD. You're looking for the 'Media Code'. 4. Check the media code against the list here: http://www.digitalfaq.com/media/dvdmedia.htm You'll know instantly what quality your discs are. The 4-pack of DVD+R from Poundland come up as INFODISCA01, the DVD-R as OPTODISCR008 on my PC. Both are '2nd class media' The 2-pack TDK come up as TTH01, '1st class media'. If you intend to buy a bulk order of discs, I recommend your first order is a wide range of different brands/type so you can check each brand. You don't want to order 500 discs only to find they're all fakes! Even the most reputable places (in my experience eBuyer) have sold fake DVD's, I once bought a pack of 25 DVD+R from there, every single one coastered. The media code was AML002 (4th class/fake media). I didn't attempt a refund, as I only £5 and sending them back was too much hassle. Yes, exactly the same, most Wii's and gamecubes will scream at you if you put these in though. Shame really. What a bargain - we have these already for my 3 children and I can recommend them - keeps all the little bits together! 99 pence store stock the ruck sack which is very similar to the back pack. Lynx Thai Massage Shower Gel RRP £2.88 only £1 at Poundland! 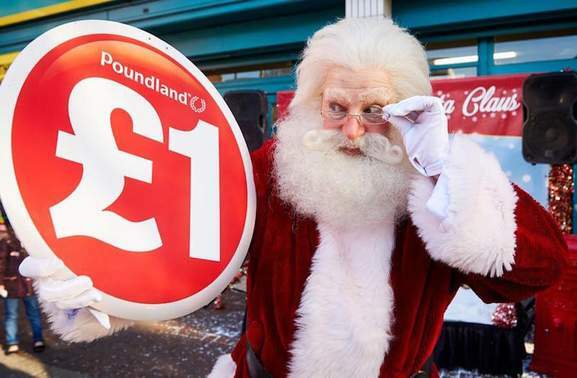 Anyone else struck by the hilarity of a thread devoted to telling us that something at Poundland costs a pound? Can't comment on the product itself, but thanks for posting anyway! They've been a pound at ASDA for quite a while. Voted cold. Does it include a glove so it feels like somebody else's hand ? Bargain England Football Book from Poundland! Just £1.00!! Axe (Lynx) Bodyspray (all scents inc Africa) only £1 a can in Poundland! Pity it's only instore, we don't have one of these shops in the Isle of Man. Always something thats useful to have in that drawer full of bits and bats. Ive seen these at more than a £1 for one. i've bought these and they have proved surprisingly useful. mainly for use with kids stuff. at £1 a pack just using a few of them really saves money on buying them individually. Lithium and alkaline cells aren't generally compatable - alkaline give 1.5V output whereas Lithium 3.3V so they aren't normally mixed. Lithium cells are typically found in computer motherboards, camera backup batteries, some calculators etc, and this pack doesn't have any of them. Alkaline cells like these are commonly found in cheap LED pens, laser pointers and similar devices (often with 3 or 4 stacked) and this pack can be very handy for them (cheap being the important word here!). Watches and things like hearing aids often use more expensive technologies (based on silver etc) to create the tiny cells, so this pack won't help you there either. Still worth getting a pack in I reckon if you have a lot of gadgets (although these have been at poundland for years now). thanks. voted hot. why is this cold? I think they do a big selection of drinks, seen cadburys hot chocolate there too. I picked this up for 99p from The Works last week. 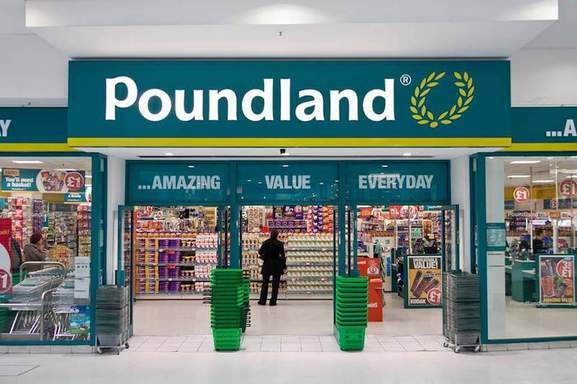 So if you can't get to a Poundland, it may be worth checking in there. I bought one of these and was going to post this myself - it is USB 2.0 as it says on the back that it meets the speed requirement of USB 2.0, it reduces EMI/RFT interference. For a fuller description you can go to Amazon which also has a lighted USB cable. I think they should be around £3 normally. F3U144 is the model number. You misunderstand, I find it highly unlikely that they SELL them at £15;-) :p Just checked that code number but it's not the ones I refer to, can't find them online but they're PCLine branded. hi i think its 2.0. as it hasnt slowed up my printer connection, chucked packing now or id tell you exact model no. sorry. ;) Go to the [url]www.pcworld.co.uk[/url] website and search for "669203"
if they're waterproof, I guess they're plastic. if so that's a great price. would be interested to know if anyone buys a pack. Oh no - poor you. Hope you have not been too badly affected. Will you stick them together to make a raft? Could be useful up North. as the title says...i bought one today and tried it with my ipod video and it worked perfectly...why should you pay apple £14 for this when you can get for £1? ASDA Have Ipod chargers for £2. Belkin so good quality. And to install a cig lighter socket isn't too difficult. Just need a hole big enough and some scotchloks to wire to a positive and an earth. Cheers, but even basic knowledge of doing stuff like that is beyond me :? I bought a similarly priced charger for my ipod from QD. Just be aware that the quality is not too good. Mine actually exploded and burst into flame! Fortunately my ipod didn't get damaged. I know Apple are expensive but I wont buy a cheapie again. Even though it's no good to me have voted it hot anyway! Gonna get that bug were you play tennis during Wimbledon. For a quid this prevents you spending a fortune on a yearly bug that lasts a fornight. 4 Rackets and Balls = £5. I'll tell you what is a 'tennis racket' £15 for a little bowl of strawberries and cream at wimbledon. Ebay:giggle: Slightly better deal here : https://www.hotukdeals.com/forums/showthread.php?t=76844 They charge in about an hour with my Uniross charger. The Aldi/Lidl chargers take somewhat longer. I've often wondered, where exactly are we supposed to take our batteries for recycling? NiCad batteries lose their charge quite quickly, I don't think I'd bother putting them in remotes as they would need charging every month, wheras alkaline last for a year or more!!! Have bought a few of these packs and they are fine for tv,dvd remote controls,radios, torches etc. I put some in a 7" LCD TV but the power goes down quickly. For £1 they are good value. Yes..the Lidl/ Aldi ones are better but then they're twice the price. No way these are a Cold Vote! Oh dear I emailed the seller of these on ebay asking if these are the same ones that are being sold in poundland for a £1.00 here is the response What!!!! that expensive i only pay 20p for these thats a rip off!!!! 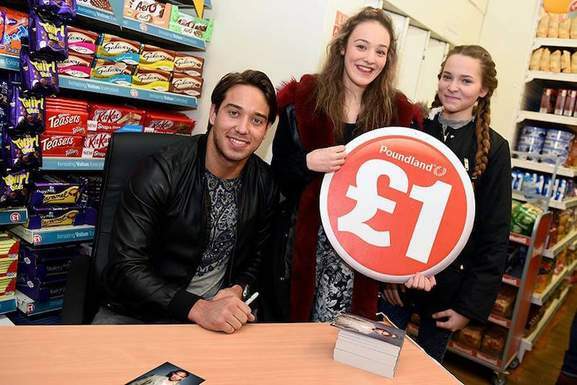 Not sure where he got them from as there's no poundland in Mablethorpe. Yeah bit of a fiddle with that RRP. These are marketted as electric fly swats, but they really come into their own with mozzies. When we lived abroad, we were plagues with the bu99ers. yes we did have mozzie nets up and mozzie screening at the windows and plug ins, but it is difficult enough to sleep at night in a roasting hot room AND have insects whizzing past every now and then. Hard enough for an adult, but trying to convince a VERY tired and overheated child that the buzzing round their head is not the same mosquitos that must have bitten them before and made their eyes swell up and their whole body itch. Fascinating as they are, flys and mozzies are disease and germ carrierers, and bring total misery to millions of people. I don't consider myself a sadist, but the sound of a crackling mossie is VERY satifiying - the volume is after all relative to the amount of moisture in the insect - loud crack = huge feast from an unwilling donor!! My mother in law is now confined to her bed or a wheelchair, so is unable to fend off mossies - this gadget has made her more able to defend herself. I would never use this on anything other than mozzies or persistant flies. You do have to keep them out of reach of small children (and drunken adults) but you wouldn't let a child play with a 'manual' flyswat - would you? so all usb cables are of same speed, then why do some cable packaging refers to 480 speed? Yer, and consider that the skeleton was so keen to be included that he had the message lasered through to his bones!! So by my reckoning that's..... Primary school aged children, Kittens, Large numbers of strangers...(some very strange), A skeleton &amp; an Ainsley Harriott lookalike All of whom can understand &amp; recognise sarcasm....how strange that some people would appear to find it soooooo difficult?!?!?! Obviously. Just spreading the word that I have Datawrite Red -Rs at 20p each. Someone may want some at a better price than this. The drawback is that I only have 100 to sell, so be quick if you want them at that price. i didn't include private sellers in that obviously. These disks have been around in Bolton for the best part of a year. Just like any other DVD medium. They are good for somethings and on some recorders. Voted Hot. i just burned a few and they burnt/played fine :) guess some burners are more fussy than others! Sellotape is the "brand name" so if its sellotape then the tape would be of better quality. If its sticky tape then its only really good for wrapping presents as the op says. It's sticky tape. The tape reels are approx. 1 3/4" with less than 1/4" of 3/4" wide clear tape on them. The dispensers are quite sturdy and approx. 5 1/4" x 2 1/4", and are in various colours. These are an all year round stock item for Poundland. It says sellotape in the title and on the poundland website! Is it Sellotape or sticky tape? Battery operated garden parasol lights - Pack of 20 = £1 !!!! why dont you understand the pic?! loads of people are selling them on ebay...... i thought it was better to put a pic up of the item so people can see exactly what they are. I don't understand the picture, it's an ebay pic, ain't it? Good price though but you get what you pay for in my opinion. i was actually looking for some of these and they are quite hard to find. and when you do they are quite expensive. i mean i dont know how good they are but worth a shot at a quid. poundland is excellent for dog bowls and dog toys on a different note! There's a full size one for a pound as well ! Would this work on a Freeview box? Our's has long gone and it's a pain to do it manually! I have one of these and it is fantastic. Perhaps the previous poster did not know how to program it? Mine even went through the washing machine (they are small - i left it in my pocket! ), and tumble dryer, and after a battery change - it still worked! Laser Level - at Poundland!!! Just bought from Poundland in Nuneaton this morning. Projects a laser line, so in effect a cheap laser spirit level. Haven't tested it yet, but for a quid its worth a punt! If you think the costs with postage are to expensive they also have these instore as well if you have a local one. And with the savings stamps you can get £1 free on £20 card which is a 5% discount. Wilkinson also do some solar lights ]click here, look reasonably priced but not as cheap as Poundland. Axe (Lynx) Stick Deodorant RRP £2.50 only £1 in Poundland Instore! Thanks, I think it's a good deal... not had any problems with whitening my clothes either. Good deal, but they stain your shirts....stick to the cannisters. Thanks, it is my first deal folks!